"You’re never fully dressed without a smile." 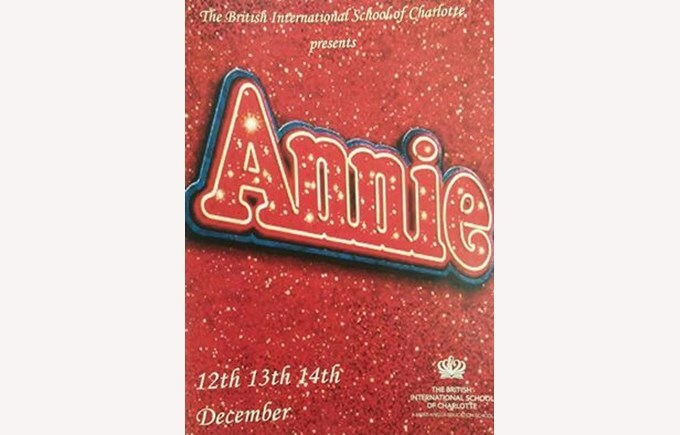 What a journey Drama Club has been on for this year's play 'Annie!' It all started right at the beginning of the school year, in early September, when we held our auditions. The cast was decided (after much deliberation- a lot of great talent! ), scripts were distributed and students began learning lines, staging scenes and practicing choreographed routines with Mr. Gray (and Sean's mom!) every Thursday, after school, at Drama Club. Thanksgiving soon came and went and Mr. Gray and the students began piecing everything together and having full run throughs to make it in to a watchable show...not an easy task but we got there in the end and it resulted in the fabulous performances we all witnessed this week! The children (and Mr. Gray!) thoroughly enjoyed this experience! It was tough work and very challenging at times but it was such a supportive and encouraging group that anything was possible! The children learned so much about themselves and each other - from learning how to work collaboratively with others and persevering until a scene/song/dance routine works to finally being able to proudly say that they have been a part of something wonderful. They have constantly been reminded that it's not only the end product but also about the process the students go through, what they learn about themselves and the risks and challenges they have undertaken to push themselves further. A huge well done to everyone in Drama Club and to all the staff, students and parents who helped make 'Annie' a huge success!